Hello, dear Five Minute Friday friends! It’s such a delight to have you here for this final edition of FMF for October 2016! 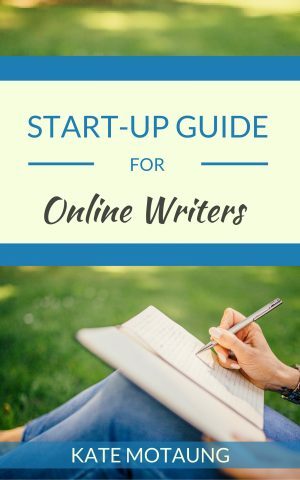 If you’ve been participating in Write 31 Days or 31 Days of Five Minute Free Writes, the end is in sight! And well done! That’s a HUGE accomplishment. 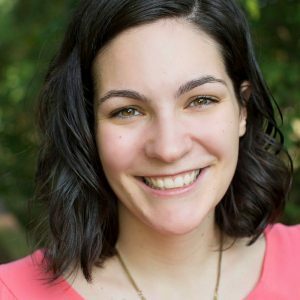 This week, it’s my great privilege to welcome Asheritah Ciuciu from OneThingAlone.com as a special guest! Asheritah is part of the Five Minute Friday family, and her first book is releasing on January 3, 2017! How fun is that?! I’ve had the privilege of meeting Asheritah in person not once but twice, and she always sends me the sweetest voice messages at the most timely moments. I’m so thankful for her friendship! “Sometimes I forget to eat,” she confessed, unpacking a box of food her parents had mailed to her. On our dorm room floor, she stacked boxes of mac & cheese, squares of ramen noodles, and cans of condensed soup like she was building a little city. I stared at her like she was from another planet. How exactly does one forget to eat? Not only did I make my way to the cafeteria for every meal, I often grazed between meals, and even found myself day-dreaming about the next lovely concoction that would find itself into my stomach. Growing up, food wasn’t just something you ate—it was something you enjoyed. Something that brought people from diverse backgrounds together. Something that united us in our appreciation for our taste buds and the feast before us. Something that brought comfort and joy on the hardest days. So the fact that I developed a food fixation is no surprise. Between my mom’s excellent home cooking and our family’s influx of guests at our table, I was bound to get caught up in the pleasures of eating. I realized that my love for eating became a problem when I inhaled my one-year-old’s chocolate birthday cake, almost by myself. It was then, at my lowest point, that Jesus met me and whispered to me, “Come to Me; come and eat. Why do you eat what does not satisfy? Listen, listen to me, and eat what is good, and your soul will delight in the richest of fare” (see Isaiah 55:1-2). That day and in the months to follow, Jesus took me on a journey to discover satisfaction in Him that far outlasted my next meal, a fullness of joy that started deep in my soul and worked its way out into my life, my thoughts, and even my way of eating. Why would we seek satisfaction in what doesn’t satisfy? Well, because for some of us, it’s all we’ve ever known. But when we turn to Jesus, we taste and see that He is good. So good, in fact, we realize He’s better even than chocolate cake. 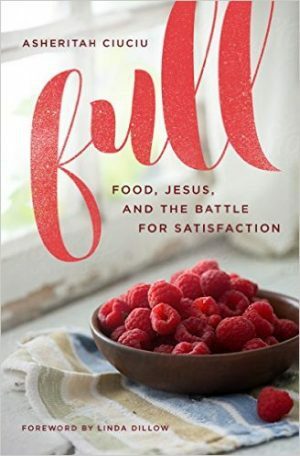 Asheritah is a writer, speaker, and the author of the upcoming book Full: Food, Jesus, and the Battle for Satisfaction. 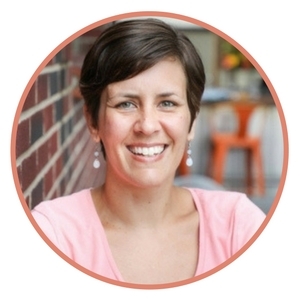 Her passion is leading women deeper with Jesus through daily devotions and spiritual disciplines on her website www.OneThingAlone.com. 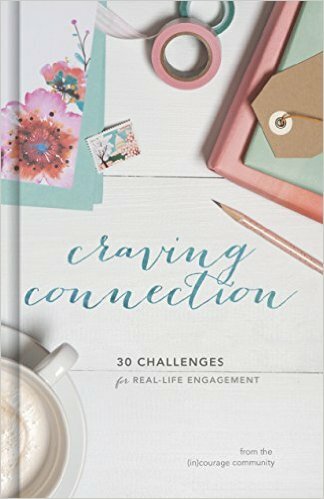 Sign up for her free 6-week eCourse Quiet Time for Busy Women to become more consistent in your daily devotions today. Thank you, Asheritah, for being here and for being such a blessing to so many! 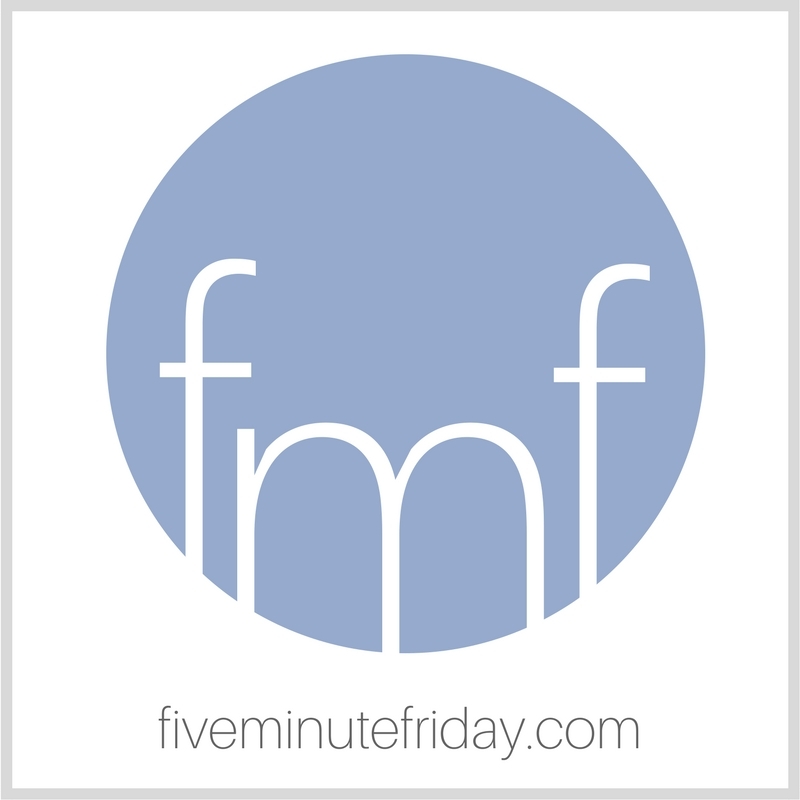 FMF friends: Join in with your own five minutes of free writing below! i am very much opposite in that I will forget to eat and not even get hunger pangs until I am dizzy. As a child my mom would measure when I was ‘hungry’ by my mood. I recall her often saying to me “if you don’t have lunch you have to go to your room” either felt like a punishment and I was VERY young! I have felt isolated and unwelcomed at meals because I don’t participate in the eating portion. I am SO happy you have heard a call to feast on the Lord and the Word. 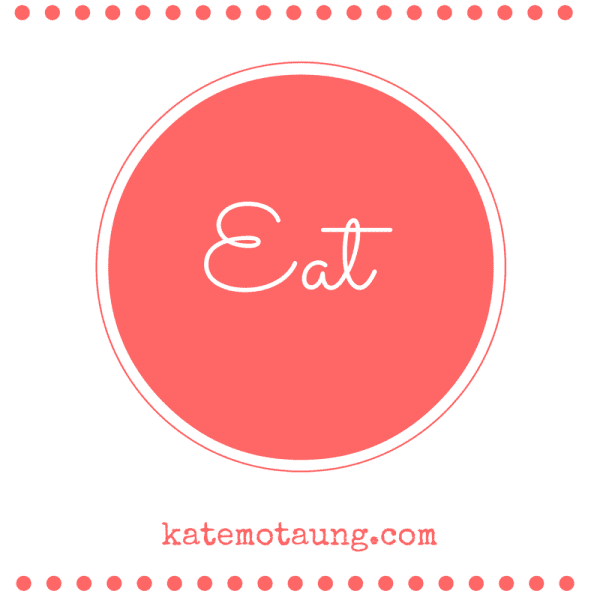 Since I have had children I have been struggling to slowly try new things and eat more regularly because being “sick” from exhaustion or literally on the ground from not eating isn’t any better than over eating! Amazing how the scenarios are very different BUT they both lead us straight to Christ!! Thanks for sharing Asheritah! Oh what a fun post! Asheritah, it’s so nice to “see” you tonight! You are right. It’s far too easy to try and find satisfaction in a good meal, or junk food, rather than being filled by Jesus and His amazing love for us. 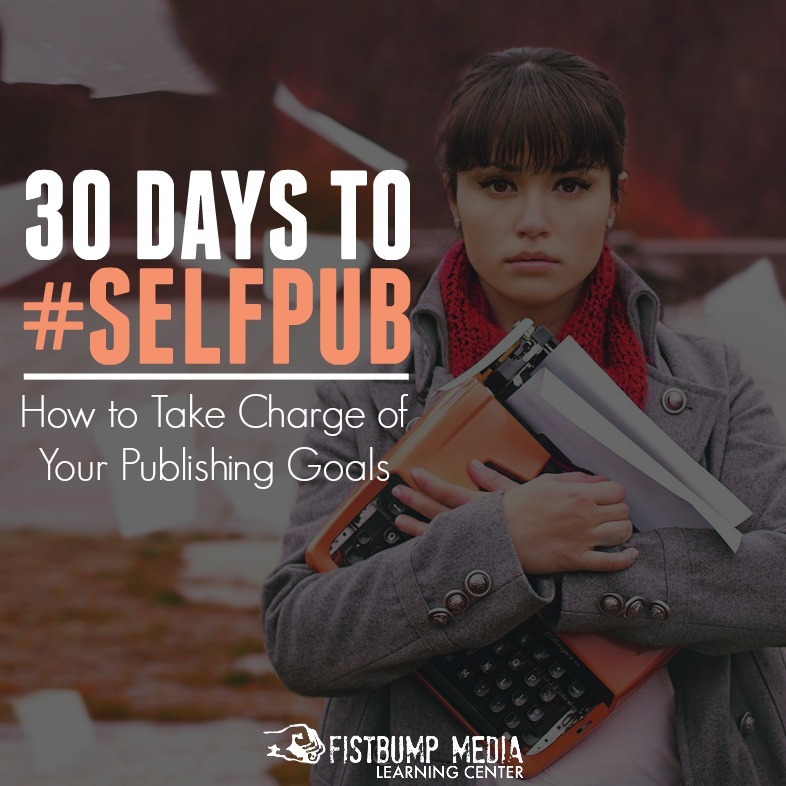 Your book release is coming soon! I’m so happy for you. And, Linda Dillow wrote your foreword. THAT’s wonderful! Congratulations! 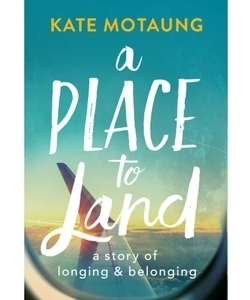 I guess I was lucky, in a way…’home cooking’ was horrendous, and the atmosphere of ‘family mealtime’ made be – literally – take to the hills with biltong and water. And a pistol, if anyone came after me. Your comments ALWAYS bring a reaction. Today, I chuckled. I believe you and my hubs were raised in the same family. What a delight to see Asherita here! I got to meet her at ALLUME 2015 and loved her instantly. And, she has gorgeous eyebrows! 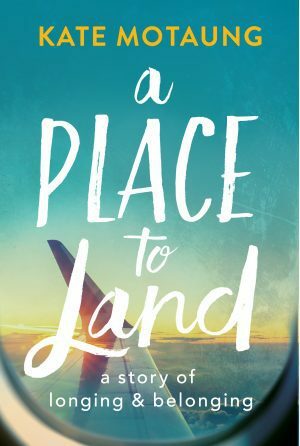 Yay for the book – so proud of you! Cannot wait to read your book, Asheritah! I think we can all relate to that need to be satisfied by God. And yeah, I’ve totally shoved cake in my mouth when no one was looking. 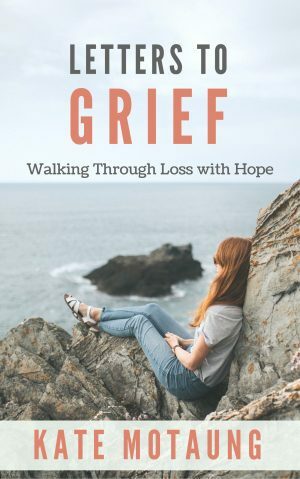 This sounds like it will be a wonderful and helpful book for so many. I hope she puts together a launch team 🙂 as it will be such a joy to help get the word out. Blessings! Know the feeling! I have actually forgotten to eat (usually lunch) on a particularly busy day. Oops! Confession: I did a wee bit of editing on this one. I incorporated this prompt with a few others for an October Poetry Writing Month post at Nickers and Ink. Asheritah, what a wonderful foretaste of your upcoming book. I enjoy reading your writing. I could relate to your story as one who has meals that are not just for eating. I’m sure your testimony will usher in freedom for so many. I wish you well. Love the book cover! Congrats Ashiterah! Isn’t the cover great, Denise? I’m excited to read it! Hope you’re having a great week!